Has your website lost good rankings in Google and other dominant search engines? Is it no longer in the first page or even the second? This may have adversely affected your business since many customers cannot reach you with ease. Worry sets in because the future looks bleak. The only option you have is to outsource SEO services, but the quotation you keep you off. You cannot afford it. If you are familiar with this narrative, worry no more. Many have spent a lot of money to outsource services, which they could have done in an hour or less. With current competition on website ranking, SEO services are no longer affordable to small and medium sized businesses. This article will show you 10 ways to improve and maintain a desirable SEO ranking without paying a dime. But first, make sure you have a standard website. Use a good best rank to tracker to ensure you are always on the loop with your site’s ranking in multiple search engines. Nowadays majority of Google search is done through the mobile platform. If your site does not load or it loads improperly in a mobile device, you will not just lose clients, but your SEO ranking will doubtlessly head south. Search engines favor sites which supports all devices that can access the internet. 2. How fast does your site load? Nowadays, people are extremely busy. A second lost during loading can mean losing a prospective client. Very few people would wait four seconds for a slow site to open. Additionally, search engines like sites which load fast. Make sure you investigate the loading time of the site. If you find out that there is some sluggishness that your target audience will not like, you can increase speed by resizing the images, adding caching plugins, or by deleting unused plugins. This is all you need to do, and traffic will start streaming! Make sure you use social media interactive icons so that you can get inbound links which will appear authoritative to the search engine. It is pulled to sites which refer visitors to social media. Since the Google engine knows all sites in the web, it will value your site if you quote sites which it ranks very high. In every niche, there are sites which rank better than others. For example, in a medical field, a quote from The World Health Organization weightier than a link to a study done in your local university. Recent Google algorithms suggest that the search engine is inclined to sites which has fresh content. You may also increase the length of existing content a long as it is relevant to the topic. More materials and links improve your ranks. PS: One of the surest ways to make your site remain relevant is to update it with valuable content frequently. Take time to optimize keywords. Remember, these few words are as important as the rest of your content. Thoroughly study word formation so that you can develop unique yet fitting keywords. Search for words which your visitors are likely to use to get the products or services you are offering. You can use tools like Google Trends and Google Keyword to get these magic words. 7. For heaven’s sake fix the 404 errors! Everybody hates to click and get this error. It shows that the site owner is not serious or has abandoned the site. If you do not fix this error as soon as you can, you might lose business, not forgetting the fact that your site can be un-indexed by Google. Despite your good intentions, duplicate content is regarded as repetition by the reader, and self plagiarism by the Search Engine. Frame your words differently to drive your point home. You can use Google Search Consul to detect and correct this type of content which can cost your SEO strategy. Use distinctive title tags for each and every page of your site. Title tags should have at least 70 characters. Try to describe the page features with a title tag. It is the only thing your visitor has to decide if he will click or not. It should be like a short summary of the page. Your meta descriptions should also be captivating in order to entice the reader to click. Many clicks are what you need to improve the rank. Subdivide your content rationally, with the help of headings, subheadings, titles and subtitles. You can mark these with HTML tags like h1, h2 h3 … just to let the Search Engine understand fast how your work is arranged. 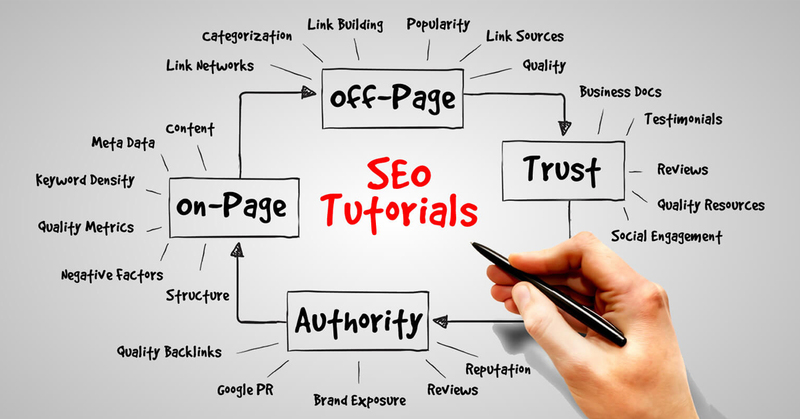 With this information, it is not hard to improve on your SEO ranking. However, since new contents are added regularly by your competitors, make it a habit to study their strength and capitalize on them. It is harder to maintain a favorable rank than to improve. Therefore, remember your site is like living thing which needs to be nourished with constant updates so that it can remain relevant in an ever-changing internet world.